Nichi Scribbles has been hooked on comics since his youth. He can barely remember a time when he hasn’t been reading, writing, or drawing them. 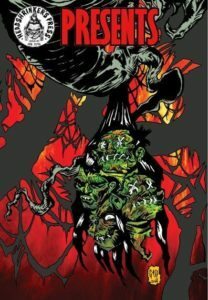 In 2013, Nichi conceived Headshrinker’s Press and, in the nearly two years since, he has released the Headshrinker’s Press Presents anthology, in which readers got their first introduction to titles such as Sons of Yellowstone, Landslide, and Plague. 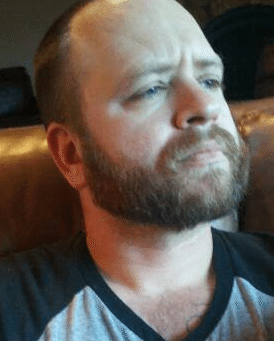 Nichi was happy to take time out of his busy schedule to talk to Indyfest Magazine about what he—and Headshrinker’s Press—have been up to. IM: How did you first get into reading comics? NS: Believe It or not, I was just a wee lad with my grandmother at an antique flea market when I received my first batch of comics. I am sure it was one of those incidents where she was just giving me something to keep me occupied, but I have never put them down since that day. And I am glad it happened that way; I have great respect for older comics, as well as the new stuff. How many people can say that their granny turned them onto comics!? IM: And creating them? How did you learn your craft? NS: Like most people who love comics, I have been writing and drawing my own ideas since childhood. This is something that has followed me into adulthood. I spend most of my time now just writing to get the ideas out of my head. Once artists with actual talent started working on my stories, I focused less on drawing and more on writing. I am able to draw coherent layouts, but that’s the extent of it. I have taken a few classes (nothing to write home about) at the local university, but I would say this is a craft you never stop learning or developing. I am still learning new tips and tricks, and my style is evolving every day. We are all at different levels in our storytelling. IM: Tell us a bit about Headshrinker’s Press. How did it come about? What brought all of you together? NS: That’s a loaded question! Sometimes I look around at the people I am collaborating with and wonder where they all came from. I am amazed at how everything kind of just happened. There is me, my business partner Landon Faulkner, and my editor-in-chief Jeff Nelson. 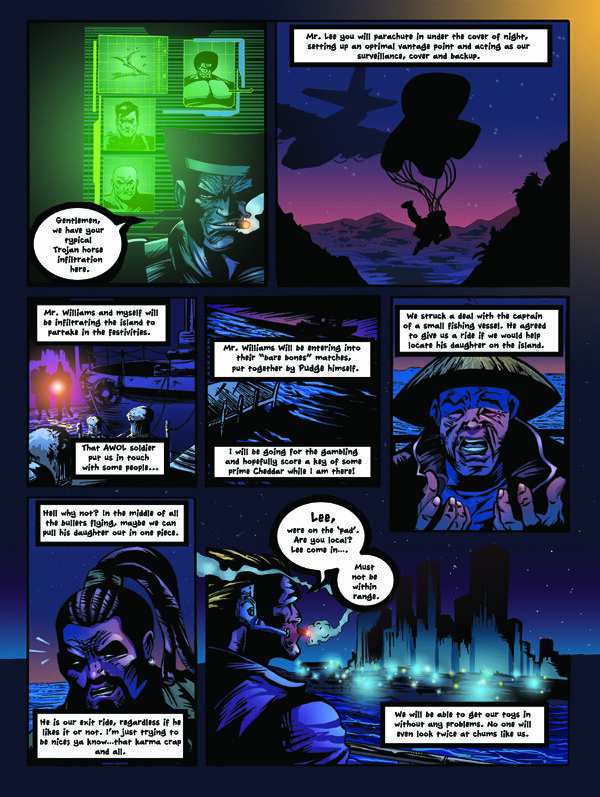 In addition, there are great artists and writers like Johnny Hinkle, Marcus Odoms, J Primus Dickerson, Ac Rillo, Matt James, Peter Cacho, and Bolaji Olaloye. I could go on and on. I met a lot of the people I work with today just doing what I love in small art communities, trying to get our ideas out there. 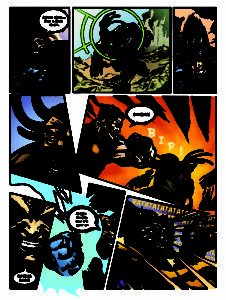 That’s thing about comics: it’s a beautiful collaborative storytelling platform—very primal and very tribal. We all stuck together—agreeing to release our tales under one collaborative flag. We are always meeting new and interesting people. The same can be said with talent. We have been fortunate enough to employ the skills of amazing artists, writers, letters, and colorists from around the world. IM: Can you share some of the breaks and bumps you’ve encountered along the way? Lessons learned? NS: It happens every day. I am always trying to overcome a roadblock or something new I have to think my way out of. But that’s why I started my own label. I want to know everything there is to know about writing and producing quality comics. And let me tell you, there is a lot to learn. It can really be a fulltime job, but it is definitely a labor of love. A valuable lesson I have learned is to accept criticism. It stings sometimes, and anyone out there getting ready to travel this road will receive it at some point in time. But without the occasional disappointing review, you don’t know where you need to improve. It’s hard to do, but if you learn to be thankful for criticism, you could go a long way in this field. 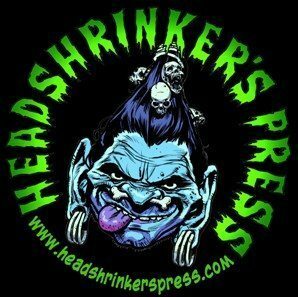 IM: On your website, you’ve described Headshrinker’s Press Presents as your centerpiece or gateway to your other works. Can you elaborate? NS: We wanted to provide a way for people to view our projects and there are many of them. Headshrinker’s Press Presents #1 was our first stab at this, as well as our first ever production. And even though we just released it middle of last year, we have come a long way and learned quite a bit about what we need to do better going forward. The second issue (which should be released by the end of January) is a far cry from our first issue, and I hope we improve with each subsequent issue. Before we introduce a new series or concept, we will always try to explore it first within the pages of Headshrinker’s Press Presents. IM: Today, many book publishers release samplers, that is, they make available the opening chapters of their titles, hoping to hook new readers. Just to clarify, are the stories in HPP self-contained adventures, or are they more cliff-hangers to be continued in their own books? NS: They are both their own self-contained series as well as possible cliff-hangers. It is really up to the author of that series. It’s a sampler for those who have never read the series in question and a great background for those who already have. IM: Say a new reader picks up a title that debuted as a mini in HPP, but has not actually read the anthology. How accessible are your other titles for readers who missed the introductory minis? NS: That’s the great thing—you don’t need to read one to enjoy the other. IM: Let’s talk about Landslide. How did you come up with the concept? NS: The concept of a dormant earth elemental has always sparked my imagination. My biggest love, next to art, is nature. I have always loved its embrace and marveled at its fury. There is magic in a thunderstorm or an avalanche. I wanted to capture that and turn it into a great story. The Landslide monster is rooted in myth—most commonly an earth elemental or golem. More than anything though, I think this is a story about respecting the earth and the four elements. IM: What can you tell us about the plot, characters, etc.? NS: The fact I am self-publishing and self-funding this project has really let me open up and have free rein over this world. The full-length series coming in 2015 will be a tale of the Panama Canal Company, their efforts to dig the Panama Canal, and the young earth elemental monster bent on eating them all. The main character in this series is an Obeah man named Cecil. In the world of Landslide, there always needs to be some sort of magic or faith to control one of these monsters, and this is the man who starts it all. 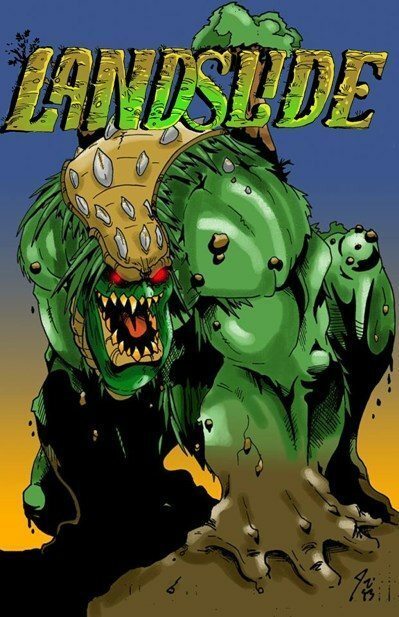 The Landslide: Roots mini-series currently on going in the “Headshrinkers Press Presents” series is a historical account of the Landslide monsters throughout time. It will lead up to the first full-length issue. IM: And you’ve just released Sons of Yellowstone, now. What’s the pitch on this series? NS: Sons of Yellowstone is a post-apocalyptic tale about the world after the Yellowstone Caldera erupts. There are a lot of stories about surviving the apocalypse, so Jeff decided to write one set several decades after a catastrophic event. Yellow Mercury is a previously undiscovered substance that was in the lava of Yellowstone. When the Caldera erupted, it spewed Yellow Mercury across the globe. It entered the bodies of several unsuspecting people giving them superpowers. These people are the Sons of Yellowstone. Some of them have what is called an empathetic voice. Whenever they kill, a grating sound rings in their ears. It could drive them insane if it happens too often. IM: Tell us more about the characters. Who are they? What makes them tick? NS: Cedric is the main protagonist. He is a drifter who was five when the Yellowstone Caldera erupted. Unlike most protagonists in post-apocalyptic tales, he is content with the current state of the world. His Son of Yellowstone powers keep him alive and he can live in a self-sufficient manner that is impossible in a developed society. His empathetic voice rings every time he kills, but his bravado won’t allow him to acknowledge it as a problem. Odenki is the sage of the series. His name was Ryne Mesman before the eruption—an eccentric man from Holland who was living in America when Yellowstone erupted. He was the second-closest person to the Yellowstone Caldera when it erupted, and he has the second highest concentration of Yellow Mercury in his blood. He journeyed throughout the northern part of the United States after the eruption, saving people in the rubble of ruined cities. The people he rescued became his followers, and they named their group the Northern Riders. He is the only Son of Yellowstone to overcome the empathetic voice. He tried to teach Cedric how to silence it, but he wouldn’t listen. Jake is the owner of a small tavern in Nuevo San Diego—an oddly futuristic metropolis near the ruins of Area 51. He is terrified when he meets Cedric, as Sons of Yellowstone aren’t allowed in public in Nuevo San Diego. The two develop a tenuous alliance. Katherine is Odenki’s right hand. Her identical twin sister absorbed the Yellow Mercury when Yellowstone erupted. Katherine, however, did not. This makes her eager to prove her worth to everyone. She is quick to rush into conflict in order to display her fighting prowess. Odenki, however, is over-protective of her. 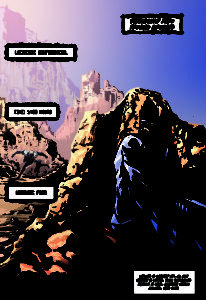 There are more characters that will be introduced, but these are the four main characters who appear in the first issue. If you want, you can read each character’s full back-story on the official Sons of Yellowstone Facebook page. IM: What kind of world do they inhabit? NS: The world of Sons of Yellowstone is one that changes depending on the location. Nuevo San Diego has a steampunk western vibe. In contrast, the Northern Riders have a fantasy-based appearance; they use swords, daggers, and spears, and they ride on horses. Another city that will appear later in the series is Neo- Lincoln, and that will look like a relic from America’s colonial age. After the Caldera erupted, the different regions of the world lost contact with each other and that shows in how different each culture is. IM: On your website, you also mention another title: Plague. What can you share about this one? NS: Plague is one I am really excited for! 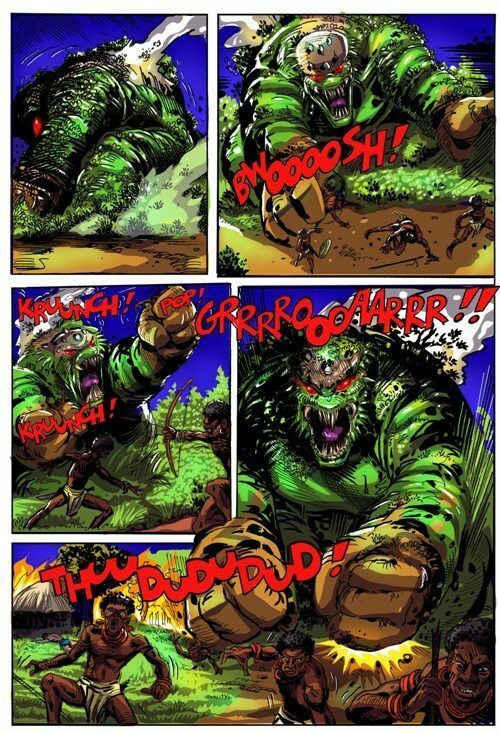 Writer/Artist Johnny Hinkle went all out on this one. 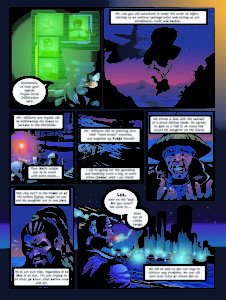 With Marcus Odoms’ coloring, it has turned out great. 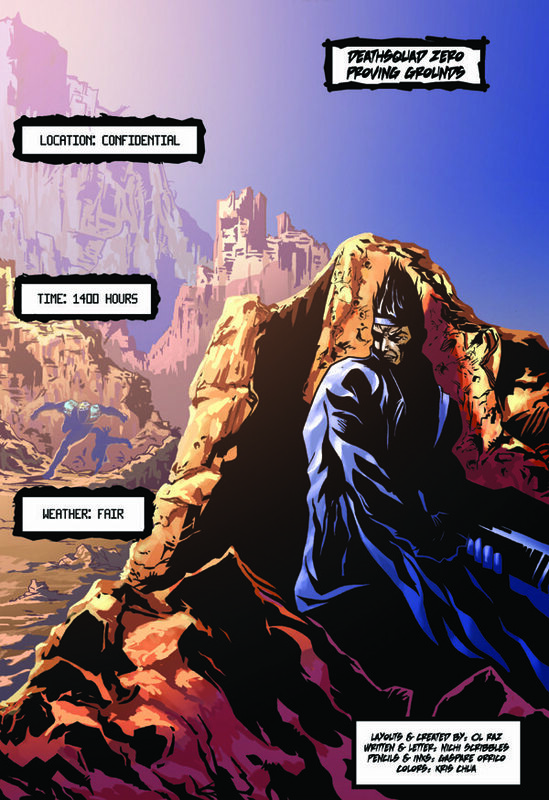 The series is going to be a visually stunning, mind bending romp through time and space. Ultimately, the conqueror Thuuluu has set his sights on the people of earth. Dr. Riddance was one of the lucky ones who lived to tell the tale. But he is now trapped in a struggle with Thuuluu. 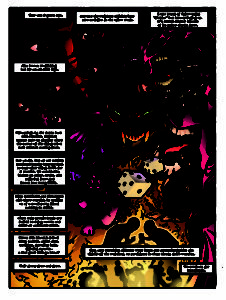 A preview story titled Plague Beginnings is going to be featured in the next Headshrinker’s Press Presents. Definitely check that out. IM: Can you tell us what you’re planning for 2015 and beyond? NS: I’ve already been pretty busy this year. We are attempting an east coast con tour with Headshrinkers Press Presents, Issues 1 and 2, as well as Sons of Yellowstone. 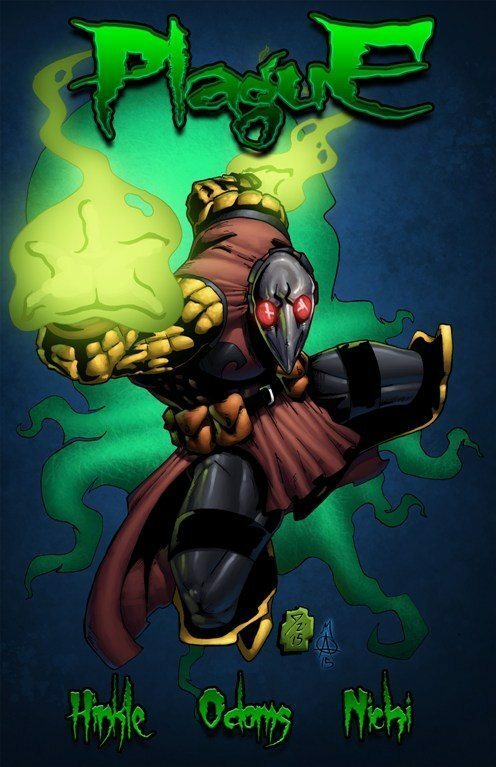 We also plan on releasing the official first issues of Plague and Landslide this year. 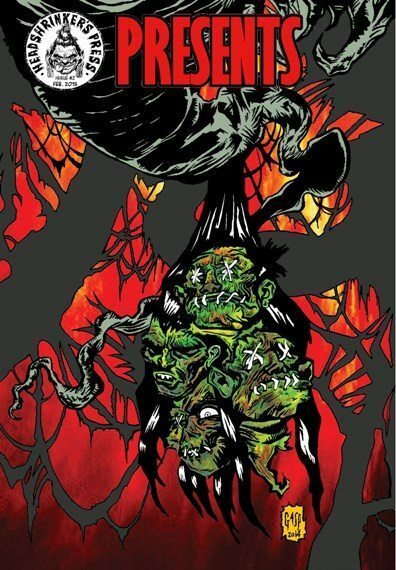 We will have Headshrinker Press Presents, Issue 3 dropping in autumn. We are also planning on releasing our first free-to-read webcomic, Ratched City by late spring. IM: Is there anything else you’d like to mention that we haven’t covered? 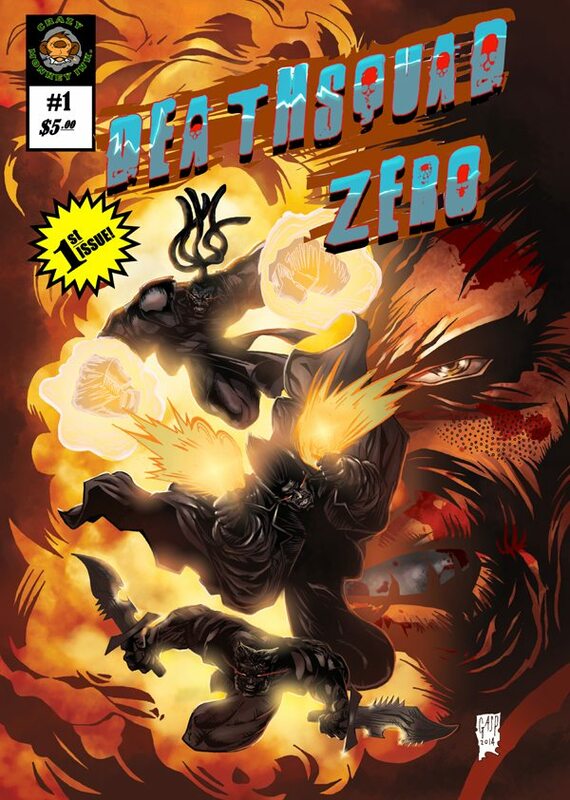 NS: It is worth an honorable mention to say I have been working pretty closely with the creator of Crazy Monkey Ink, Gabriel “Ol Raz” Ramirez, on a two-issue run of Deathsquad Zero. This is one of the most creative individuals I have ever had the joy of working with and you should definitely check out www.crazymonkeyink.com. He just so happens to also be the featured artist on Headshrinker’s Press’s Ratched City. 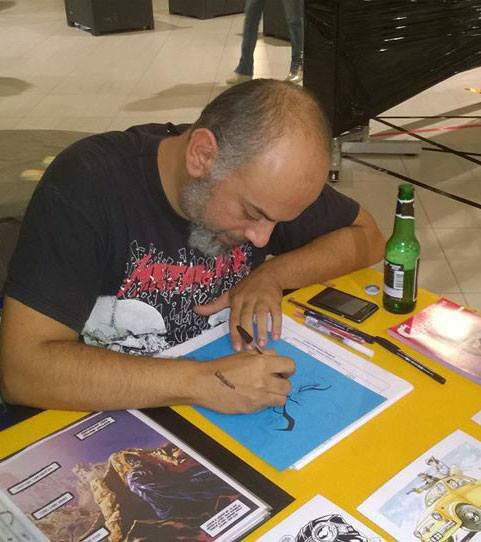 This entry was posted in 81 and tagged Ellen Fleischer, Headshrinkers Press, Nichi Scribbles on February 20, 2015 by aipman1.